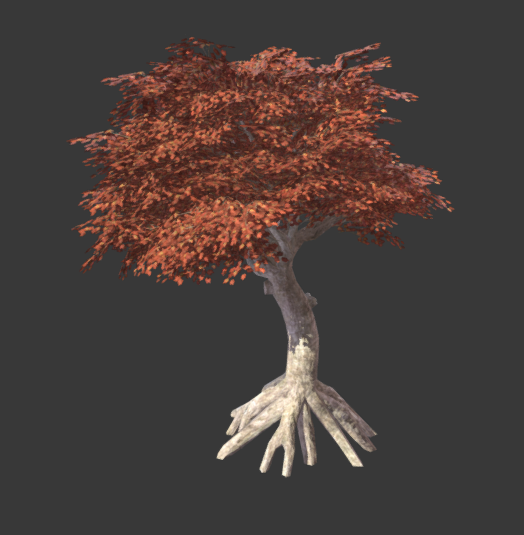 This is a short tutorial on how to make trees and other types of vegetation from scratch. The aim is to not focus on the modelling techniques (there are plenty of tutorials about that), but how to make them look good in Godot. and opened it in Blender. This is a spatial shader. There is no front/back culling (so leaves can be seen from both sides), and alpha prepass is used, so there are less depth arctifacts that result from using transparency (and leaves cast shadow). 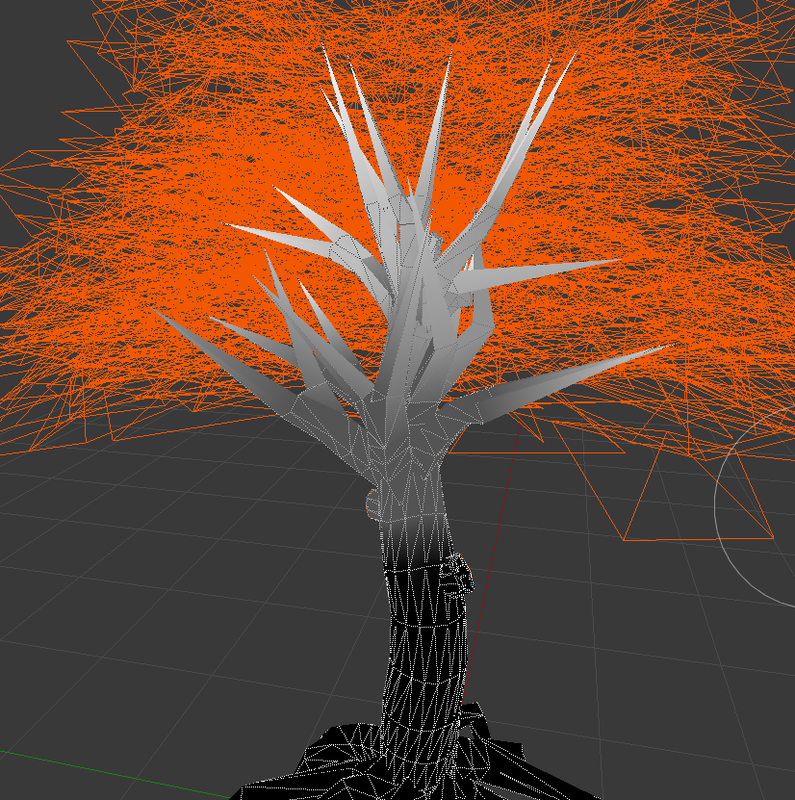 Finally, for the sway effect, world coordinates are recommended, so the tree can be duplicated, moved, etc. and it will still work together with other trees. Here, the texture is read, as well as a transmission color, which is used to add some back-lighting to the leaves, simulating subsurface scattering. This is the code to create the sway of the leaves. It’s basic (just uses a sinewave multiplying by the time and axis position, but works well). Notice that the strength is multiplied by the color. Every axis uses a different small near 1.0 multiplication factor so axes don’t appear in sync. And this is pretty much it. The trunk shader is similar, except it does not write to the alpha channel (thus no alpha prepass is needed) and does not require transmission to work. Both shaders can be improved by adding normal mapping, AO and other maps. © Copyright 2014-2019, Juan Linietsky, Ariel Manzur and the Godot community (CC-BY 3.0) Revision 8d3f8730.